For much of the past 30 years, the BMW M3 has been the gold standard for performance sports sedans and coupes. Countless newcomers have attempted to challenge the dominance of the Bimmer. Although a few have gotten close, none have been able to topple the king. The latest challenger to the Bavarian performance car is the Cadillac ATS-V. If you're surprised to find the byword for soft American luxury mentioned in the same sentence as the ultimate driving machine, you haven't been paying enough attention to the Cadillac's evolution. For the past decade, Caddy has been infusing its products with more edge, performance, and quality in an attempt to shake the hangover of all those boat-like examples of the wreath and shield from the 1970s and '80s - right down to the lush velour interiors, throwback whitewall tires, and pretentious names like "Fleetwood Brougham" and "Deville." Ask Caddy, they'll tell you that driving dynamics and engineering excellence have put those days in the rearview. It's no accident that the automaker, which recently moved its sales and marketing to New York City, talks a talk that echoes what you hear coming from Stuttgart, Ingolstadt, or Munich. 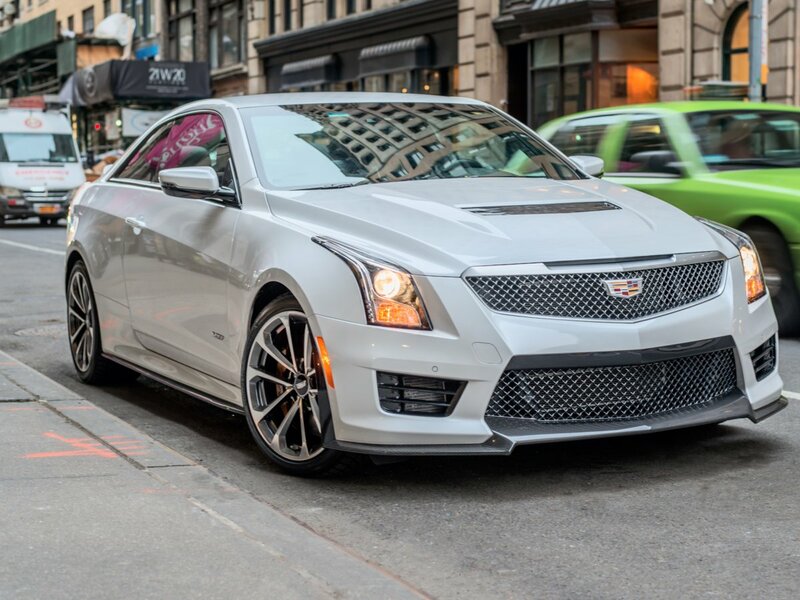 Business Insider spent some time with a 2016 Cadillac ATS-V coupe. It starts at $62,665, but our highly optioned test car came to $76,035.